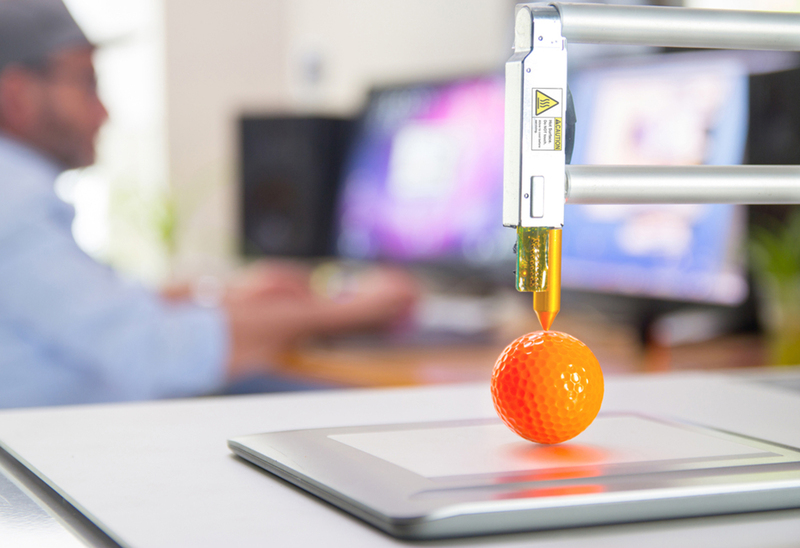 A recent report released by PwC suggests that two thirds of the top 100 manufacturers are already using 3D printing. Of these, 28.9% are experimenting to determine how they can integrate 3D printing into their production processes. Until recently, 3D printing was predominantly used for rapid prototyping, but the PwC report suggests that significant change is coming. 3D printing is also making its mark in consumer technology, thanks to desktop 3D printers such as Makerbot and Cubify. The increasingly important role of 3D printing has meant the technology now has a designated day in industry calendars - December 3. Witty, right? 3D Printing Day was first celebrated in 2013, when multinational conglomerate, General Electric (GE) designed and printed custom gifts for its Twitter followers. From a list, GE's followers picked the prototype they wanted to receive and tweeted the company their wish, using the hashtag #3DPrintMyGift. Celebrities, including Craig Breslow and companies such as Cooper-Hewitt and Spotify, designed the prototypes. The gifts were printed and shipped free of charge, in time for Christmas. After the initial campaign, 3D printing community Thingiverse wanted to make the day an annual celebration. This open source website makes 3D printing possible for many enthusiasts, allowing users to share their STL files. People can then use these to create their own printouts. In fact, the industry is so young; individuals and companies can easily improve and modify existing technologies, which creates a sense of collaboration and positive development. This year, Thingiverse is encouraged 3D printing enthusiasts to share their designs on December 3, to improve the resources available to the community. Alternatively, users spent the day thinking of quirky ways to introduce the technology to those closest to them, spreading the word about everything 3D printing has achieved so far. The day is also an opportunity to learn more about the 3D printing. Here at European Automation, we believe 3D printing should be celebrated by consumers and industry alike, because of a disruptive technology that has already proven its worth in many industries including aerospace, automotive and manufacturing, clearly has a big role to play in the future of design and manufacturing. Conventional manufacturing techniques allow companies to commit to creating moulds or costly tooling processes before making its first products. These traditional tools can be costly, but they balance out in the long run, if the mould is used to create millions of parts. However, if the manufacturer only needs 500, it may not be worth it. 3D printing is often a less costly and more flexible production method, especially if organisations use a 3D printing hub where they can rent machines and materials. Manufacturers are using 3D printing increasingly in mass customisation. Until recently, if a patient needed a knee replacement, a surgeon would select a pre-made design that most resembled the patient's knee from a limited collection. Now, a 3D scanner is used to get a very accurate image of the knee and a 3D printer can easily create a perfect replica prior to surgery. Orthodontic braces manufacturer, Invisalign, for example has built a multi-million pound business producing teeth alignment devices using 3D printing to customise each set of clear braces. Last, but not least, it’s possible that at some point in the future, developments in 3D printing may lead to the technology becoming a part of a manufacturer’s obsolescence strategy. As costs decrease, companies could start using 3D printing as a method of replicating obsolete parts. This is still a long way to go though, so we’re not worried just yet.